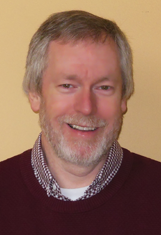 Frank has been working with MVS since 1978, first as a system programmer in Ireland and then with the IBM ITSO (International Technical Service Organization) in Poughkeepsie. Frank has been developing courses and teaching Parallel Sysplex and High Availability workshops for ITSO throughout the world for the last 14 years. He’s also provided consulting for many of IBM’s largest and most complex System z customers in Europe, South America, Asia, and Australia. We’ll be heading to SHARE on Saturday for the conference in Anaheim (March 9-14). You can find the presentations as they are uploaded to the SHARE website at www.share.org. 15274, Tue 11 – Cheryl – Why is the CPU Time for a Job so Variable? The hot links will take you to a description of each session and the handouts once we’ve uploaded them. We’d like to highlight session 15397 – Thursday at 1:30 pm in room Elite 3 – because it’s our recently added Watson & Walker vendor session, and won’t be in the on-site printed guide. Frank and I will be presenting some of the best tips, especially for saving money, that we’ve found in our combined 85 years (!) of experience. You will definitely take away something useful from this session. Additionally, we’ll be giving every attendee a full issue of a recent Tuning Letter, and one lucky attendee will be given a DVD with 23 years ofTuning Letters. Another hint for those attending SHARE is that you should be using the ‘SHARE Inc.’ mobile app (Apple store or Google Play). Here is a direct link – app.core-apps.com/share_inc. I’ve been told that uploaded sessions may be available on the mobile app before they’re available on the SHARE website. You may not be aware of it, but behind the scenes Cheryl is a tireless champion for IBM z/OS customers. This came up most recently as she was writing this issue and discovered the many discrepancies in the z/OS 2.1 manuals. In addition to sending a change request to the document owners, she created a SHARE requirement and took the issue up with IBM management to get the problem corrected. (Speaking of requirements, she has written over 50 requirements to improve Parmlib and SMF issues that she feels are important, such as adding comments to Parmlib members and adding JES ID and accounting information to SMF records.) Because she is well-known and respected by IBM management, Cheryl is able to campaign effectively on the behalf of z/OS customers to protect their investments in the platform. For instance, when IBM was planning to sunset z/OS 1.4, she was able to obtain enough support to extend the z/OS 1.4 end of service. I just wanted you to know how many extra hours she spends working on your behalf. And, of course, I’m very proud of her. We have two articles on z/OS 2.1 in this issue – the first provides our recommendations on z/OS 2.1 Parmlib changes (Part 1), and the second provides recommendations on which features to exploit first in this new release. As Cheryl notes in her article on Parmlib changes, there are many errors in both the Summary of Message and Interface Changesmanual and the Initialization and Tuning Reference manual. In addition to researching each change, she also includes a summary of the errors in the manuals. You won’t find this information anywhere else. In our What’s New? section, you’ll find several enhancements that are included in PDSE, but there is one (PDSE member generations) that we think you need to delay implementing because some ISV and even IBM products might not be ready. In this section we provide more information about BCPii (Base Control Program internal interface), a topic that we covered in Tuning Letter 2013 No. 2, pages 4-11. The additional references and software vendor additions should be of interest. BCPii provides programs running on z/OS with access to the Hardware Management Console (HMC) functions, and many customers are starting to exploit this feature of z/OS. In this section, we also cover suggestions on using our Tuning Letter DVD, reports of faster than expected processors on System z machines, and a user experience with zHPF. RMF (Resource Measurement Facility) started introducing the ability to produce some of its Postprocessor reports in XML (Extensible Markup Language) format in z/OS 1.11. Subsequent releases have added XML support for additional reports. And some of the recent RMF Postprocessor reports are available only in XML. The new XML format reports can be downloaded and viewed on your Windows PC. XML is a way of life now, and one that you need to embrace and utilize. We show you how in our article on page 33. You’ll also find many other useful items throughout this newsletter: A continuing section on Social Media, and our usual collection of New Function, SMF, and Information APARs to help you identify useful maintenance. A new feature we’re starting in this Tuning Letter is the addition of our recommendations as to which New Function and SMF APARs will provide the most benefit.